Hot damn! 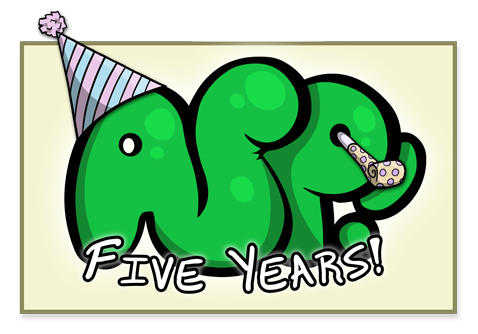 Coming up on five years of comics! Be sure to come back on Friday, we’ll be making a pretty cool announcement. It’s not what you think. Those pillows actually contained weapons of mass destruction. noobs they should have research the platinum alloy pillow upgrade, then that ghost would’ve thought twice before launching that nuke. There was oil in that pillow fort. Also it was built in Iran. Oh boy, I love pretty cool announcements. Everyone into the Tempur-pedic bomb shelter! Congratulations ASP! Keep on being awesome! There is hover-text on the announcement. I am pleased.